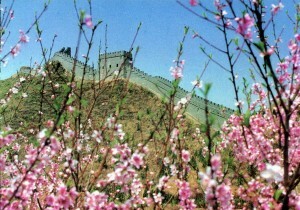 For expatriates living in Beijing or tourists visiting the Chinese capital, hiking the Great Wall of China 长城 is a MUST. 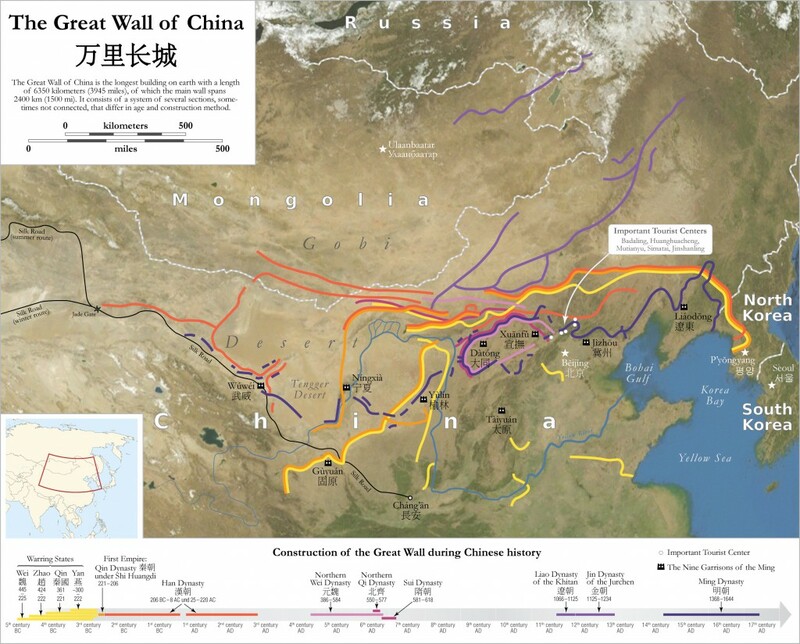 The Great Wall is actually made of sections built during different Chinese dynasties, all forming an east-to-west line across the historical northern borders of China to protect their Empire against the invasions. Today, some sections have disappeared, some other have been preserved and even extensively renovated, and still some are quite authentic. Around Beijing, we find most Ming sections, the newer and most impressive ones. One of the most touristic section. Advice: not the best part but, near Beijing and easy to reach (car / train / bus). 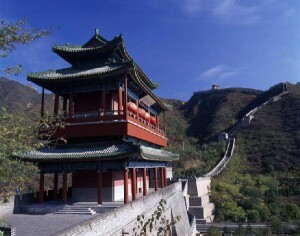 by car: G6, exit Badaling. 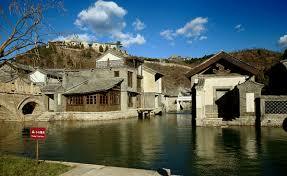 Located about 20 km North of Ming Tombs, it takes 2 hours by car / bus to go there. Hike is about 10 km. 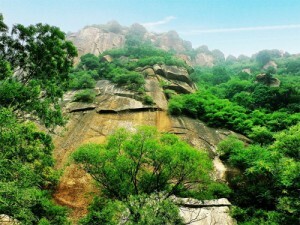 Popular hike: Jiankou /Zhengbeilou to Mutianyu- 4 hours. Restored. One of the most touristic section, fully equipped resort (check map below). 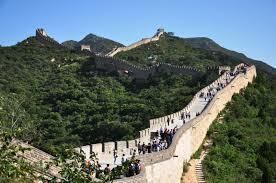 Entrance fee: 60 yuan / person + 15 RMB to take a shuttle bus from the touristic village to the Great Wall. Located in Miyun county, in Baimaguan Village (白马关村), 4km South of Fanzipai town (番字牌乡), about 20 km south to Miyun Reservoir. By Bus: Bus No. 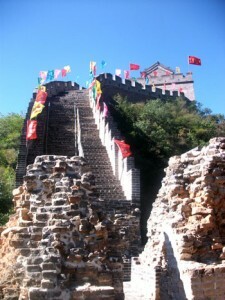 980 to Miyun County, then transfer to a local bus to reach the Great Wall. 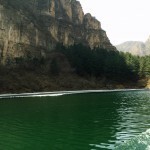 By train: take train to Miyun then transfer to local bus or taxi. By car: about 2 hours drive. Follow Chengde Expressway 进入密关路 to Miyun. Miyun county. 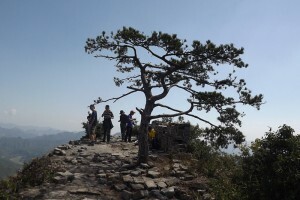 There is a 10-15 km hike to Jinshanling from Gubeikou. This section is not yet very touristic (probably because there is (not yet) train or bus directly to there). One of my favorite section! By car: Take G101, exit at gubeikou. 140 km drive, 2 hours. 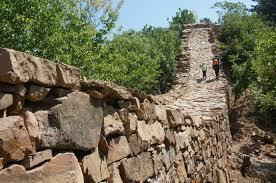 Jinshanling section is about 10.5 km, between Longyu Pass (West) and Wangjing Tower (East). 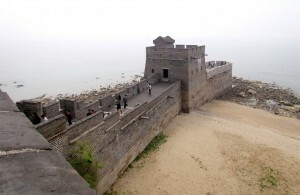 It is actually located between Gubeikou and Simatai sections. This section includes over 30 watch tower. Different hikes are possible (shorter / longer). Check the official website. Distance from Beijing downtown: About 150 km from Beijing. By bus: from Wangjing West (城铁望京西站) subway station, there is a bus going directly to Jinshanling. 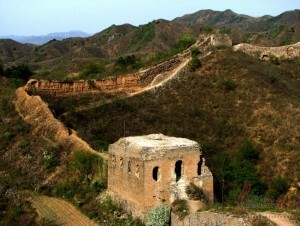 Simatai 司马台 and Gubeishuizhen 古北水镇 (down Simatai Great Wall section). North of Miyun county. 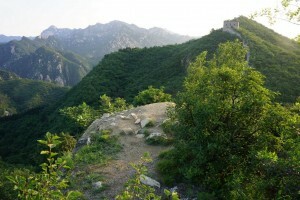 The 5,4 km hike on the Great Wall Simatai section includes 10 towers. 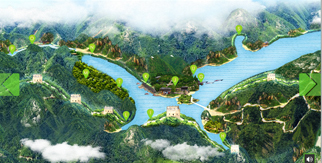 It is not possible anymore to hike from Simatai to Jinshanling. Scout Real Estate team went there scouting for you. Check our article! Cable car to Simatai Great Wall from Gubeishuizhen (160 RMB for round trip). By bus: Bus No. 980 from Dongzhimen to Miyun, then transfer to bus Mi 37 or Mi 50 or Mi 51. By car: Take Jingcheng Expressway and take exit 24. More than 2 hours drive. By bus: Bus No. 918 from Dongzhimen to Pinggu City, then take small bus to Jiangjun village. Entrance fee: 25 RMB / person. Located in the north of Ji County. It’s about 130 km North of Tianjin. Follow Airport Expressway (Jīchǎng gāosù) S12 机场高速/S12 and Jīngpíng gāosù S32 京平高速/S32 to Běibù huòyùn tōngdào 北部货运通道 in Pinggu district 平谷区. Take exit Běibù huòyùn tōngdào/xià gè zhuāng 北部货运通道/夏各庄 from Jīngpíng gāosù S32京平高速/S32. Then Shùn píng lù 顺平路 and Mǎ píng xiàn 马平线 to Shěng dào/jīn wéi gōnglù 101省道/津围公路/S101 in Tiānjīn shì jìxiàn 天津市蓟县. By bus: Take a bus from Sihui Long Distance Bus Station (四惠长途汽车站) to Jixian County (about 2 hours). Then take a taxi from Jixian to Huangyaguan (50 RMB, about 1 hour). By train: Take a train from Beijing East Railway Station to Jixian County Railway Station. Then take a taxi. By bus: Take Express bus line 916 or 916 from Dongzhimen to Huairou North Avenue Station, then line H34 or H51. By car: About 1h15 drive. Take Dà guǎng gāosù G45大广高速/ Jīng chéng gāosù S11京承高速/G45/S11 to Xìng huái dàjiē 兴怀大街 in Huáiróu qū 怀柔区. Take exit G111/ Xìng huái dàjiē/yànqī hú 兴怀大街/Yànqī lake 雁栖湖 from Jīng mì gāosù 京密高速. Then follow Kāifàng lù 开放路 and Fǔ qián dōng jiē 府前东街 to Fǔ qián jiē 府前街. 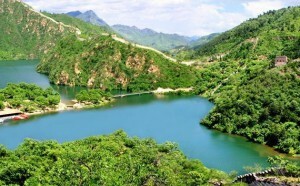 Black Dragon Pond Scenic Spot: a 220-meter high, 4-kilometer long valley. By bus: Take bus No 980, 987, or 970 from Dongzhimen to Miyun District, and then transfer to a special bus ( Mi 62 or Mi 63) toward Shicheng County. Old dragon head Great Wall section. 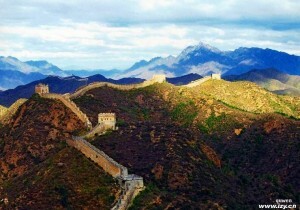 5 km South of Shanhaiguan great wall section. Also going into the sea. South of Ninghai city. 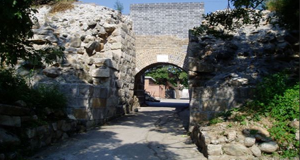 The Ninghai Fortress area was fully renovated. Distance from Beijing downtown: about 300 km. By car: ABout 3.5 hours without traffic. Follow Jīng hā gāosù/jīng chén gāosù G1京哈高速/京沈高速/G1 to Dōnggǎng běi lù 东港北路 in Qínhuángdǎo shì hǎigǎng qū 秦皇岛市海港区. Take exit Qínhuángdǎo dōng/shānhǎiguān S024/秦皇岛东/山海关 from Jīng hā gāosù/jīng chén gāosù G1京哈高速/京沈高速/G1. Then take Guódào/yàn sāi dàdào 102国道/燕塞大道/G102 to Shěng dào/lǎo lóngtóu lù 266省道/老龙头路/S266 in Shānhǎiguān qū 山海关区. 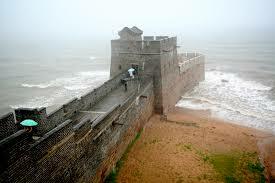 By train: Take train from Beijing to Shanhaiguan Railway Station. Then bus No.25. 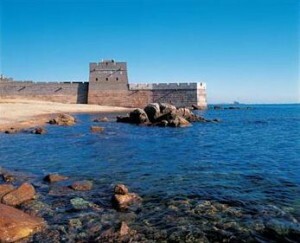 By car: Drive through S1 Expressway (京哈高速公路) to Qinhuangdao. It takes about 3.5 hours (300 km). Tourist buses are a special public service for tourists to access directly to scenic spots. 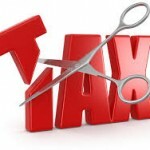 It is a government-run company and it provides one-day tour package services. You have 2 buses stations in Beijing: Tiananmen Square and Xuanwu Gate (Xuan Wu Men). Tourists using those buses will not get into trouble with illegal one-day tour package runners. Mike, a blogger sharing tips and information for independent travellers, doesn’t really suggest to sign for an organised tour, as it is more expensive than paying for a public bus or even a private car or taxi and the risk of being trapped in a scam (getting to the wrong place, ending paying more for less. We are sharing here a selection of safe options if you prefer not to go by yourself! 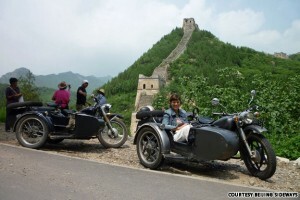 Beijing Sideways: Beijing Sideways is offering sidecar tours from Beijing city center. Unique experience. 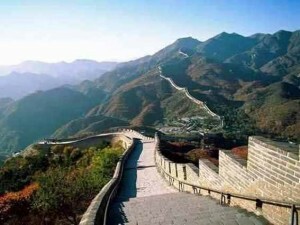 Try ou their “1 Day Wild Great Wall sidecar tour”: you will spend a wonderful day riding mountains, hiking on the Great Wall without tourists and enjoy a delicious lunch on the Great Wall. China Horizon Travel is part of the French Connection, and SCOUT can only recommend you this travel agency for a Great Wall tour (and other destinations in China and Asia). Pekin Accueil, a French association helping the integration of French speaking people in Beijing, organises once a month a hike around Beijing.